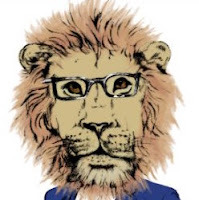 Guest Post: Taking Admiration too far? Afro-IP's 2000th post touches on the interesting question of cultural appropriation. 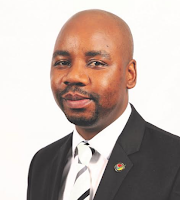 This opinion* is expressed by the CEO of Proudly South African Eustace Mashimbye (pictured below), whose organisation stresses the need to buy local to create local growth, and draws on recent examples of cultures increasingly being used to promote goods of others, without compensation. Let us know your thoughts especially in the light of traditional knowledge legislation in your country by emailing us here. They say there’s no such thing as a new idea, and that can go for the melody of a song, a novel’s storyline, or a fashion design. 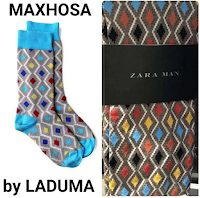 Proudly South African recently came out in defence of Laduma Ngxokolo in his case against retailer Zara when a range of socks that bore a striking resemblance to his Khanyisa cardigan design appeared in their stores. Zara subsequently discontinued sale of the socks, but stopped short of an apology, promising only ‘an internal investigation’. The issue raises many interesting questions around cultural appropriation (or misappropriation), inspiration and copy catting. When is it OK for a company to take inspiration from a cultural group and use it in their music, textile design or whatever their narrative or medium is? Doesn’t it happen all the time? Can only an Italian open a pizza/pasta restaurant? Can only a Scotsman wear tartan? Was it OK for Louis Vuitton to use the Basotho blanket as inspiration for a garment that carried a R33 000 price tag? Is it OK for Dr, as she is now, Esther Mahlangu to replicate Ndebele designs and paint New York streets with them? Was it OK for Laduma to take inspiration from Xhosa culture for the patterns on his cardigans in the first place? It is also said that imitation is the best form of flattery but when is admiration taken too far? Product development and evolution is a fact of life, but begs even more questions. Did Taxify copy Uber, or have they differentiated their product significantly enough other than on price? And what about the world of pharmaceuticals with the immediate entry into the market of generics when a drug licence expires? I heard for the first time a couple of weeks ago about drug ‘cloning’ – this is when the original drug manufacturer clones their product, replicates the packaging exactly but alters the name slightly, in order to retain a share of the generic market for their own drug. market, once the drug manufacturer has recuped the costs of research and development. Perhaps this business model should be adopted in other sectors. It makes it important for companies or original idea holders to register their trade mark, copyright their idea and establish their rights to their intellectual property. Registering a cultural emblem is one option for ethnic groups such as the Basotho to ensure cultural preservation of a design or artefact, but this may not translate into real protection in the commercial market place. 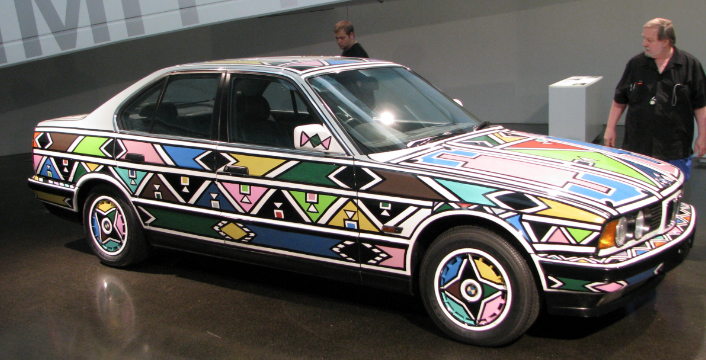 If we are to bring ethics into the issue of appropriation, for me the difference between Louis Vuitton’s use of Basotho cultural elements and MaXhosa by Laduma and even Mam’ Esther’s use of Ndebele designs is that the Basotho people did not benefit from LV’s sales in any way, whereas both Mam’ Esther and Laduma are using inspiration from their OWN cultures to create their artworks. In particular in Ngxokolo’s case, we know that his value chain in terms of local procurement has integrity and is ethical. The wool for his garments comes from Eastern Cape farmers, even though he could buy it more cheaply from overseas. In researching this piece, I found another great example of ethical use of an ethnic group’s culture and this was by Brazilian luxury brand, Osklen whose Spring 2016 collection used symbols and references from the Amazonia Ashaninka tribe. In exchange for the use of Ashaninka elements in their designs, Osklen gave royalties from the collection to the tribe who also got a platform to raise awareness about their struggle to protect their land against illegal loggers. Now that’s a proper collaboration and engagement with someone whose original work or property you admire. Susan Scafidi, founder of the Fashion Law Institute and author of Who Owns Culture: Appropriation and Authenticity in American Law, says , “designing with both inspiration and respect for other cultures in mind is a challenge that actually requires more creativity and transformative vision than just copying someone else’s culture and claiming it as your own.” and we would echo this. We believe that Zara simply plagiarised a pattern by a fashion designer who in this case happens to be South African. Laduma is fighting his own legal case in this regard, but our gripe against Zara goes further. 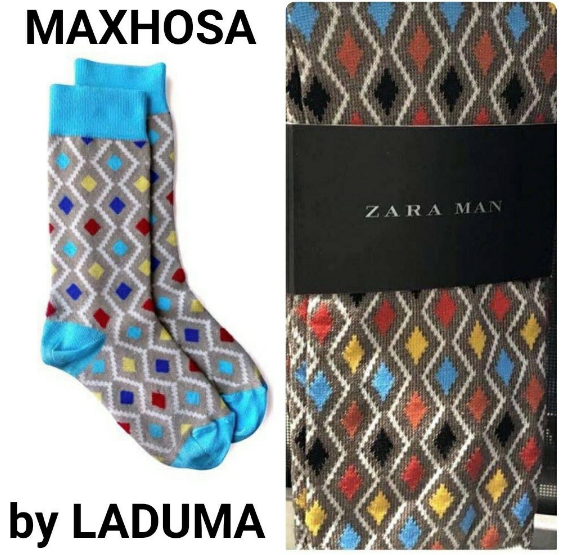 We are calling them out on 0% local South African content in their stores, even though they’re happy to ‘admire’ Laduma’s cardigan, put it on a pair of socks, call it their own and make money from it. As for a song, this week I’ve chosen ‘ Izinja’ . Did Mapaputsi admire, copy or appropriate Baha Men’s Who Let the Dogs Out? You decide! *This article is also published as an Opinion in BusinessReport and reproduced on request. Links and pics sourced by Afro-IP.